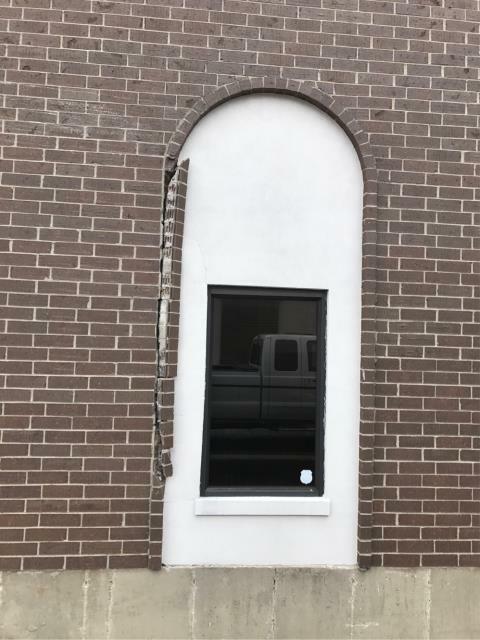 Tuck pointing inside and outside was done and looks great. 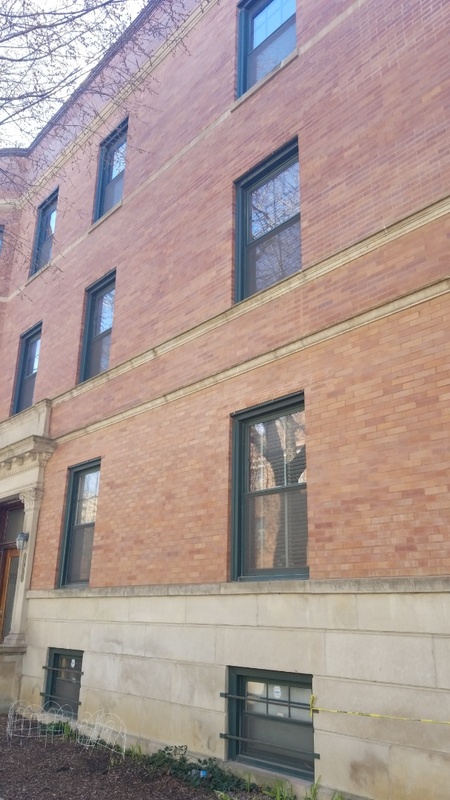 We hired Northshort to repair parapettes, coping, and tuckpointing on our Logan Square 3 flat. 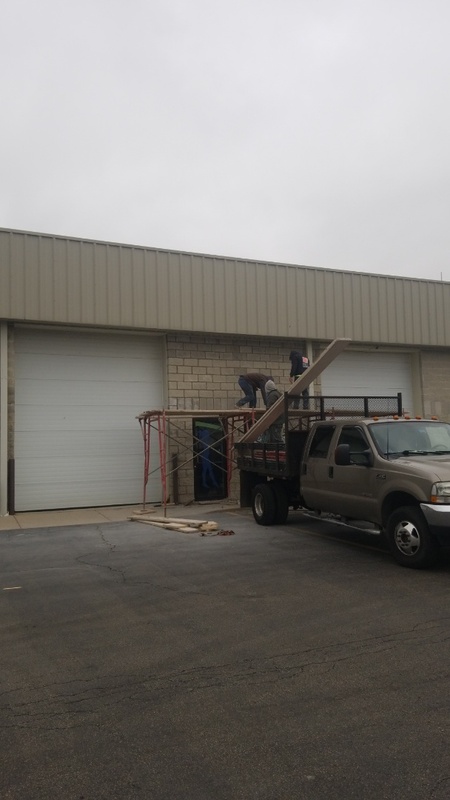 Great communication and attention to detail and the work was completed in a reasonable time. 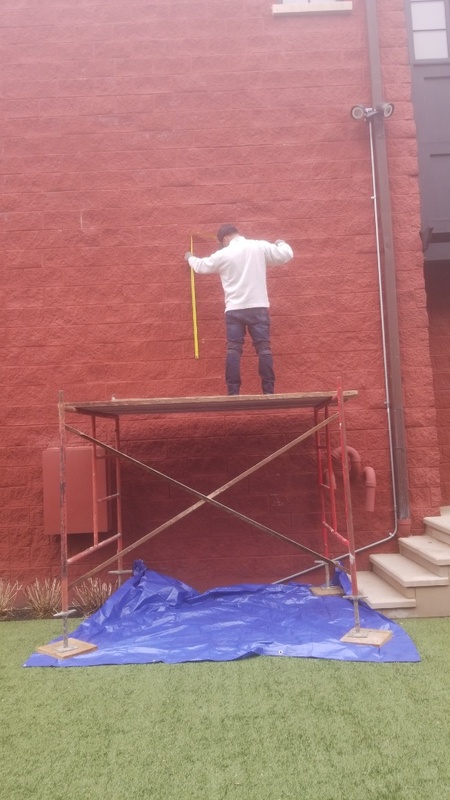 Would hire again. 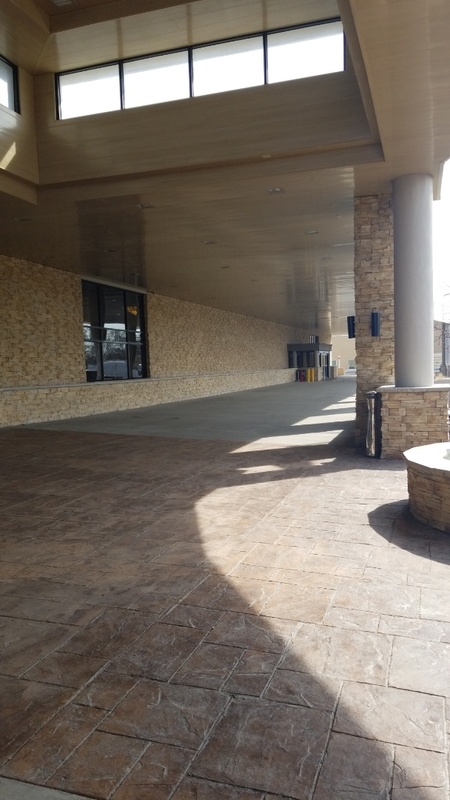 Thanks, Northshore! 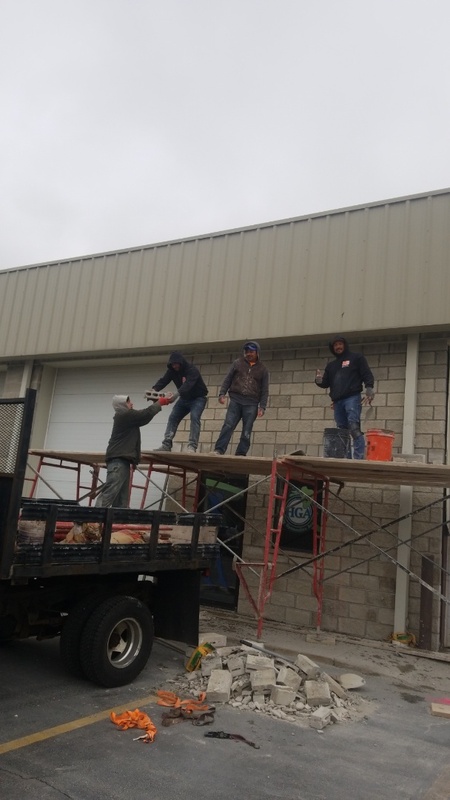 Highly professional service - great responsiveness! 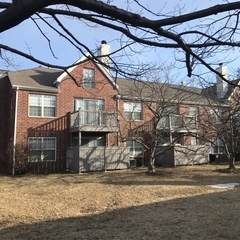 Found these folks on Home Advisor.com. 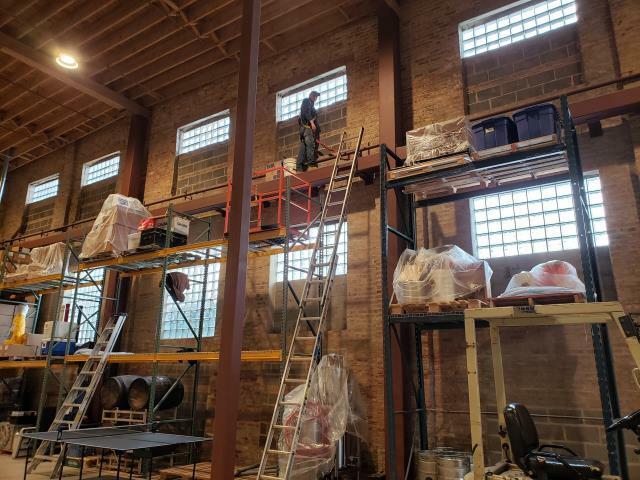 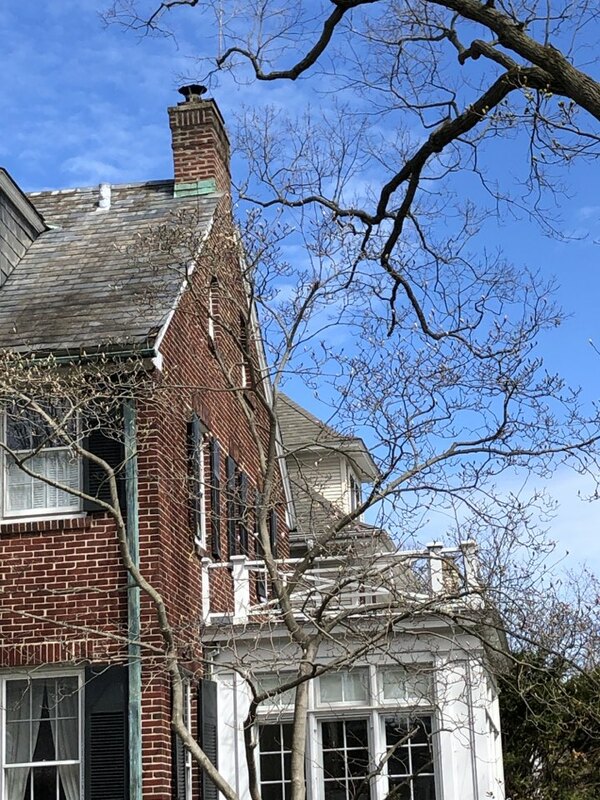 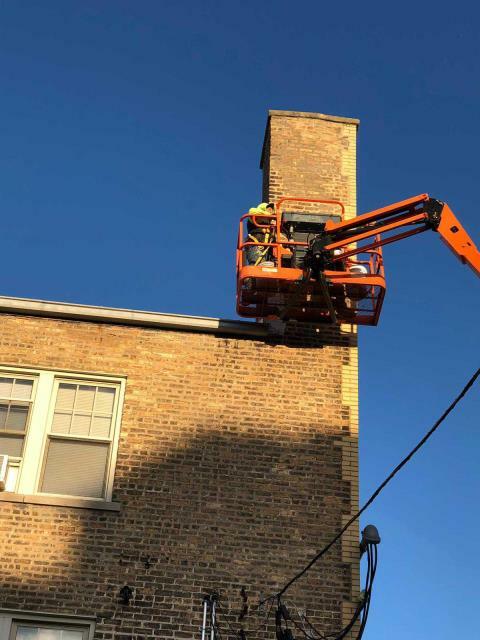 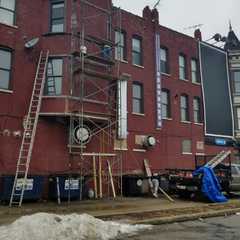 After bad experiences with two previous Tuckpointing companies, we have found our partners to take care our our vintage building's ongoing needs. 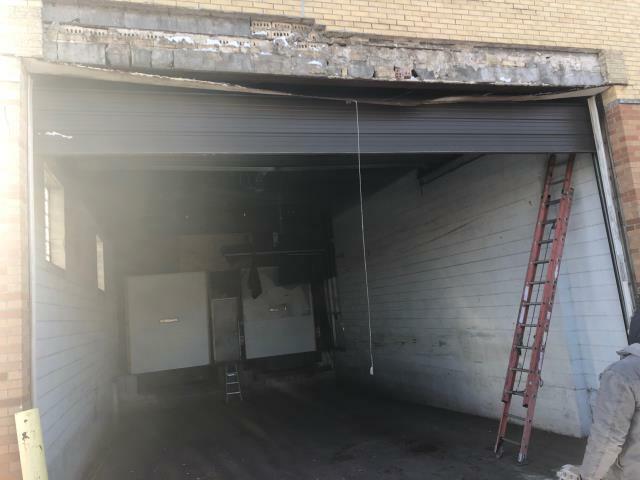 Being a larger 6 flat, Les and his associates broke down the areas needing attention from most urgent to areas we can get to later. 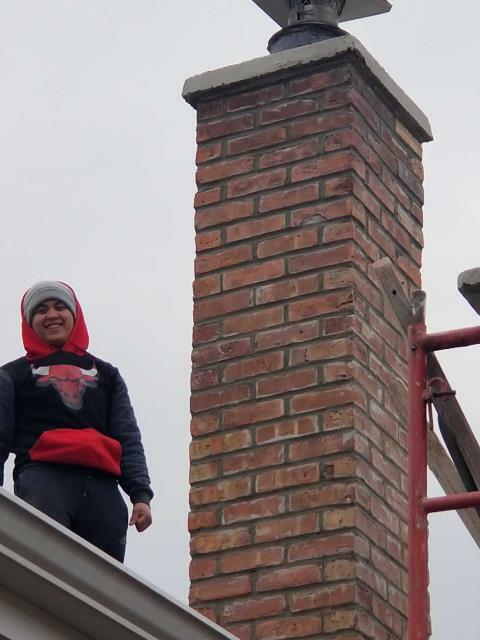 His workers were on-site promptly, doing excellent work with clean up each day. 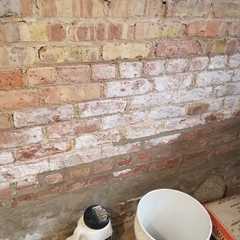 The whole group were courteous, knowledgeable, flexible with change orders, exacting in matching 90 year old bricks, and very involved with every aspect of the job. 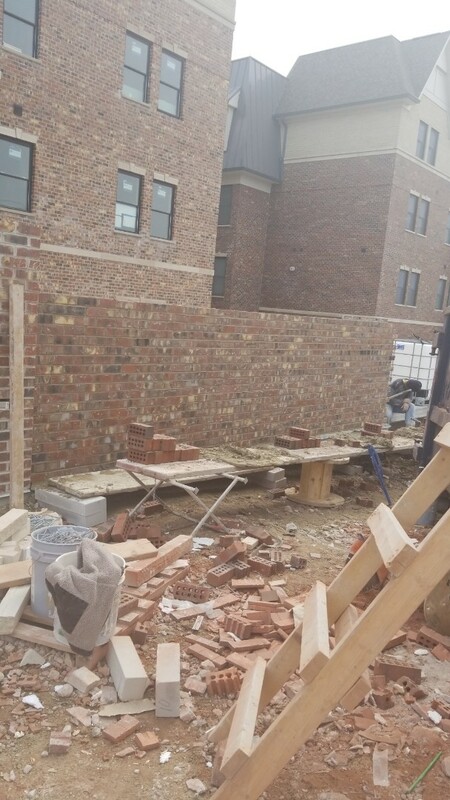 Looking forward to having them back next summer, to begin the next phase of brick repair work. 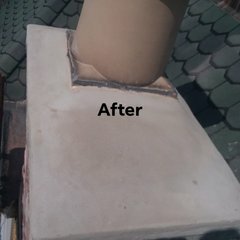 I highly recommend this organization for your Tuckpointing needs. 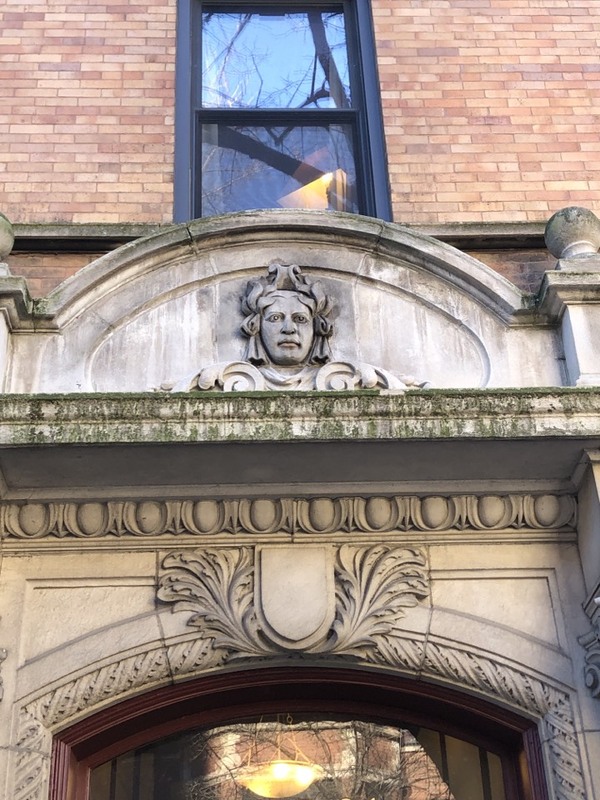 Fortunate to have found them! 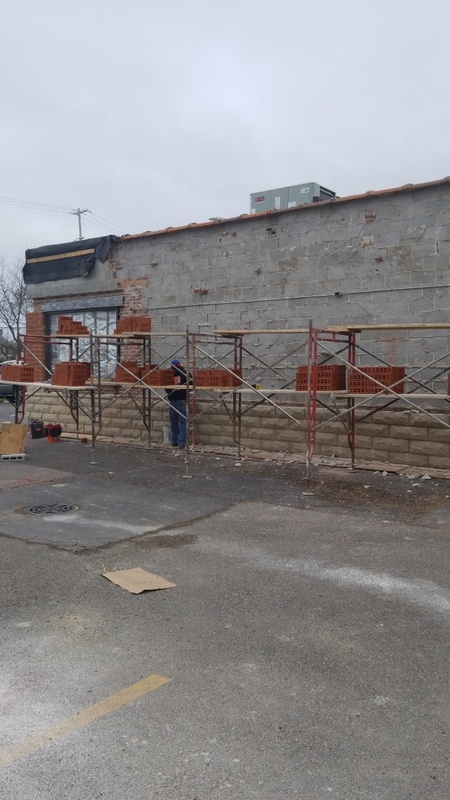 These guys did terrific work on a very challenging project. 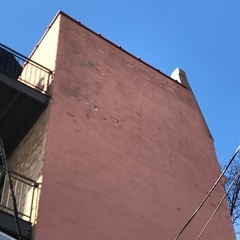 Hi visibility property with lots at stake and Northshore handled it nicely. 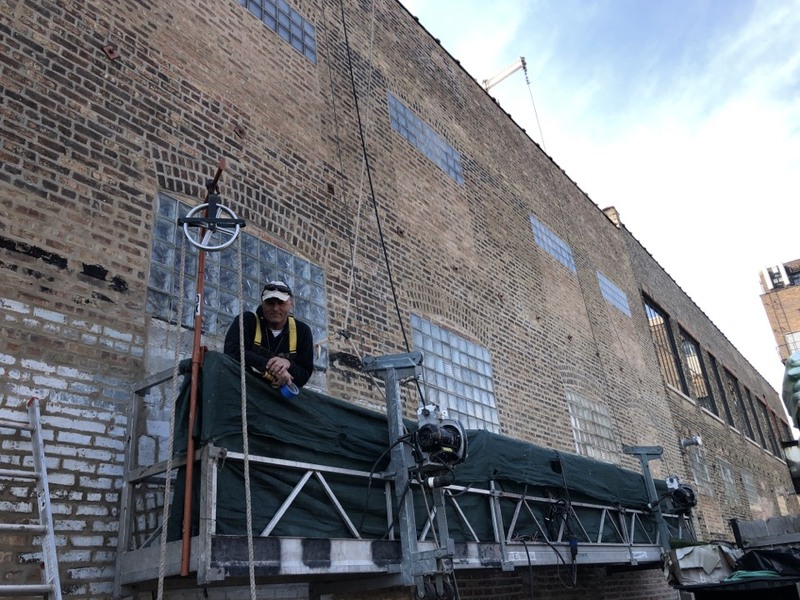 One of the best companies to work with in Chicago. 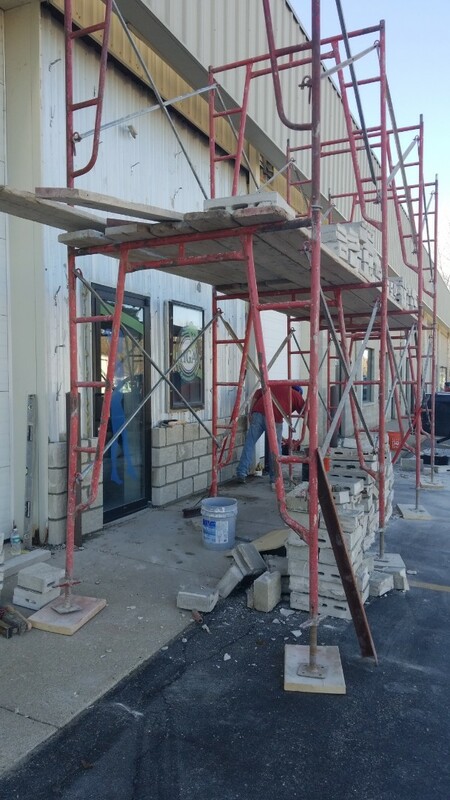 Great communication and professional service. 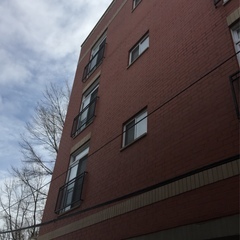 Sales rep was propt with meeting time and provided me with a lot of additional information regarding my project. 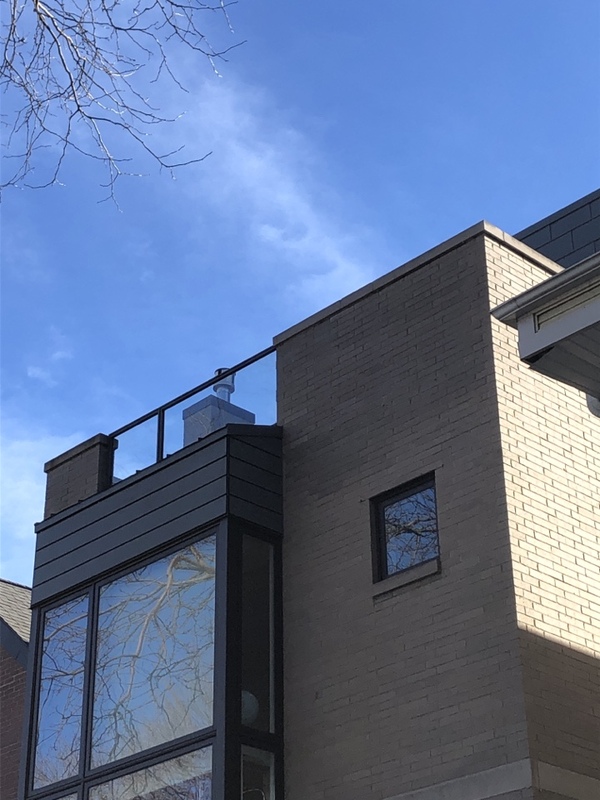 Very pleased and will recommend them to others. 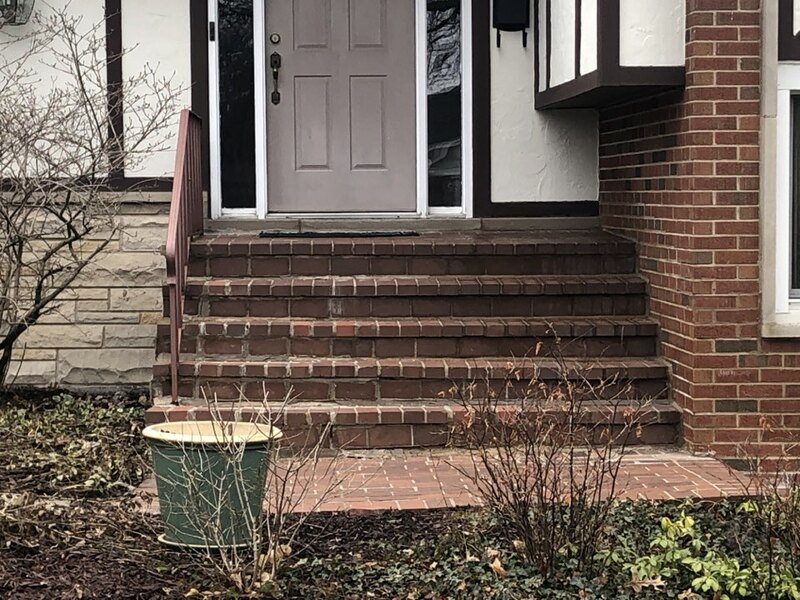 We were referred to North Shore to address some maintenance issues including tuckpointing and entry stair maintenance. 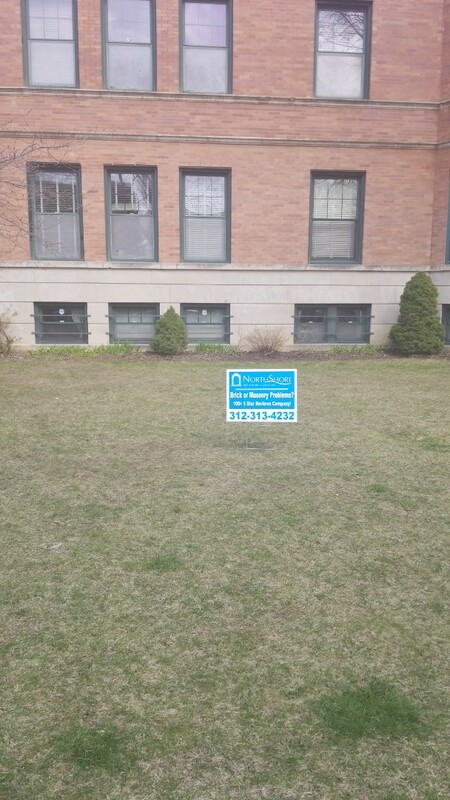 We found North Shore very conscientious professional. 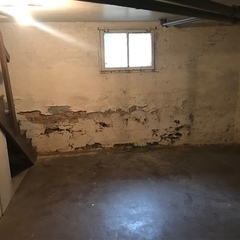 We were very satisfied with the service provided. 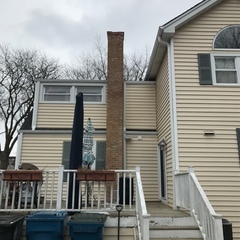 Kelly and Team did a great job and fairly priced. 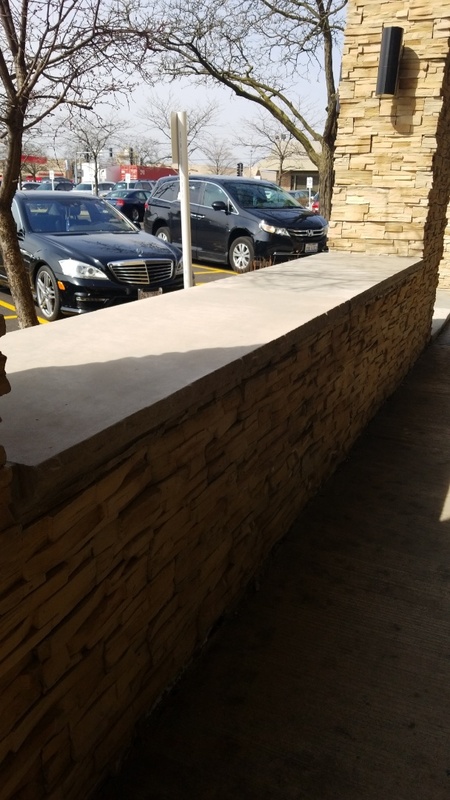 The masons did high quality work. 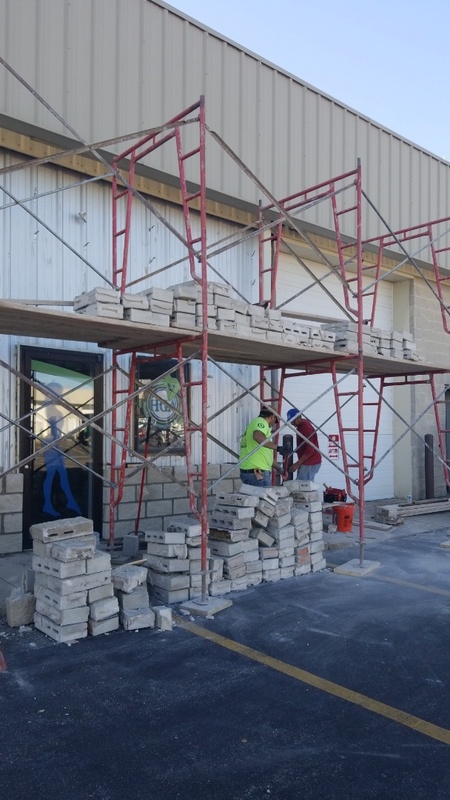 They were neat, efficient, and very knowledgeable. 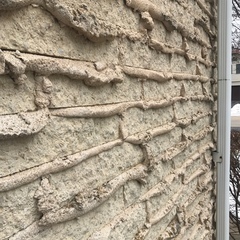 Finished a project for a homeowner in Itasca to grind and tuckpoint cracks on 2 sides of a stone wall. 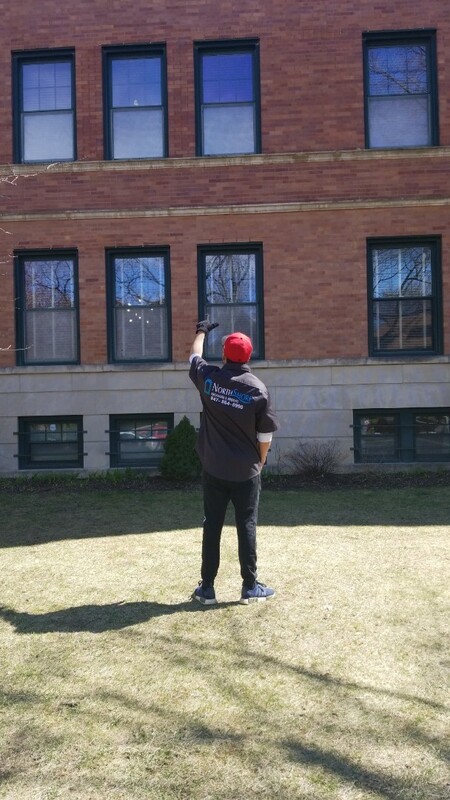 Completing our tuckpointing and caulking repairs for a customer. 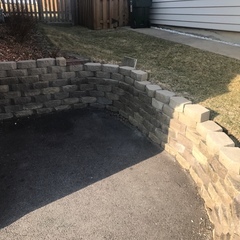 Evaluating a stone garden wall for masonry work for a homeowner in Palatine, IL. 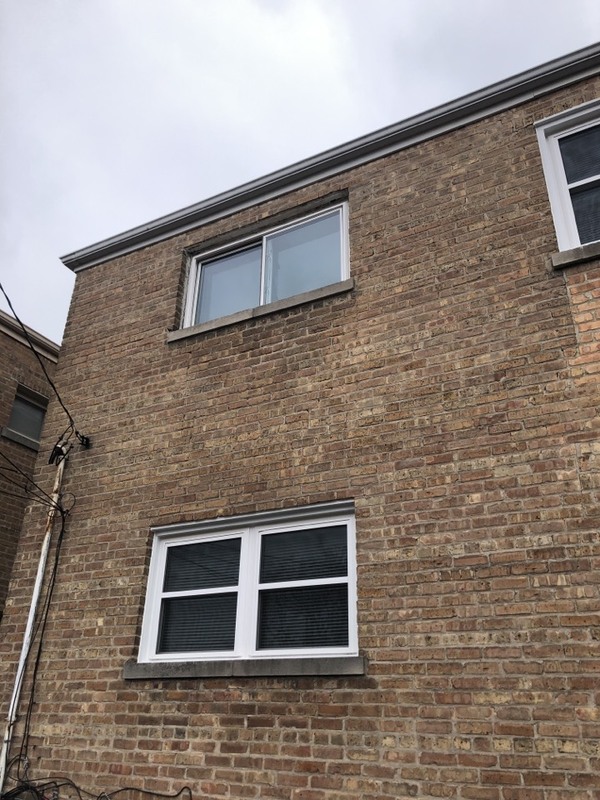 Working with a homeowner in Highland Park, IL to evaluate masonry repairs on 2 basement windows. 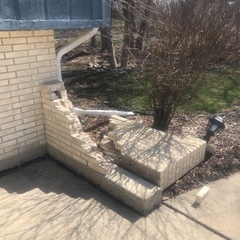 Winter has taken its toll! 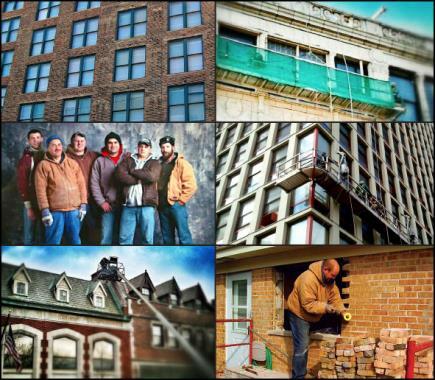 Call North Shore for any of your masonry projects! 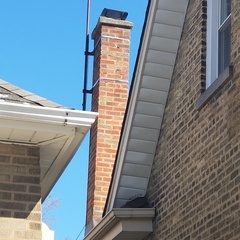 Finished our chimney repair for a homeowner in Highland Park, IL. 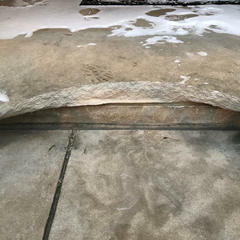 Limestone step replacement completed project. 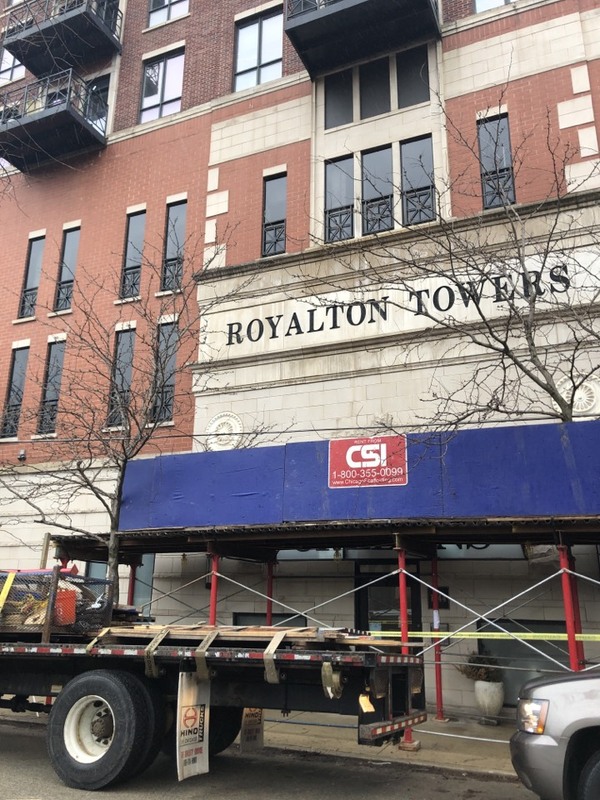 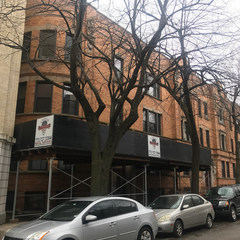 We've got our canopy set up and ready to start our tuckpointing project on Surf Street in Chicago for a large property management company. 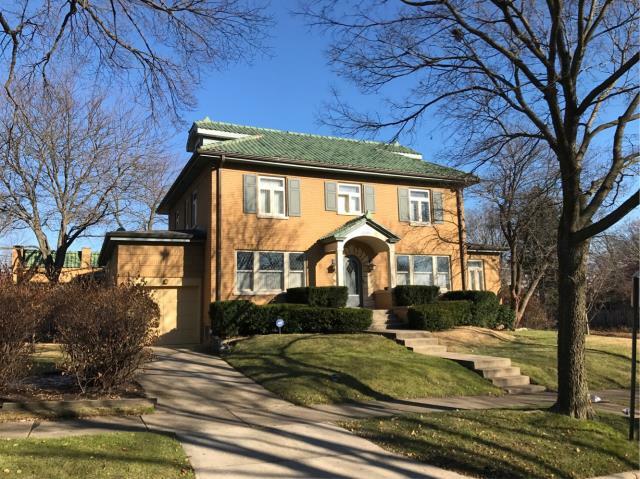 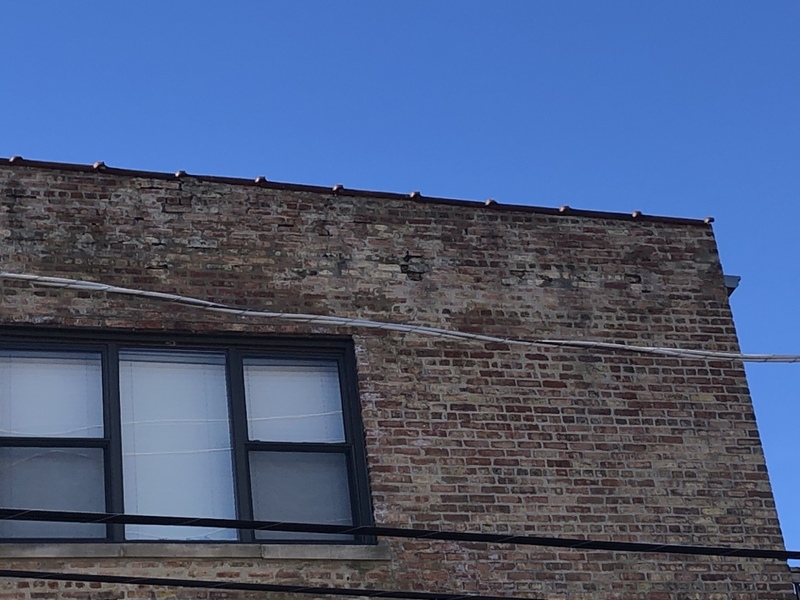 Looking over a homeowner's tuckpointing issues in Chicago, IL. 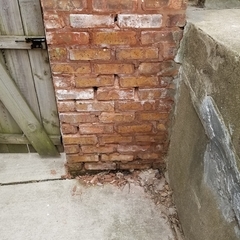 This column is missing a lot of mortar. 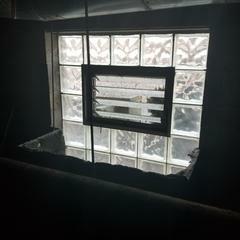 North Shore Brickwork & Windows to the rescue! 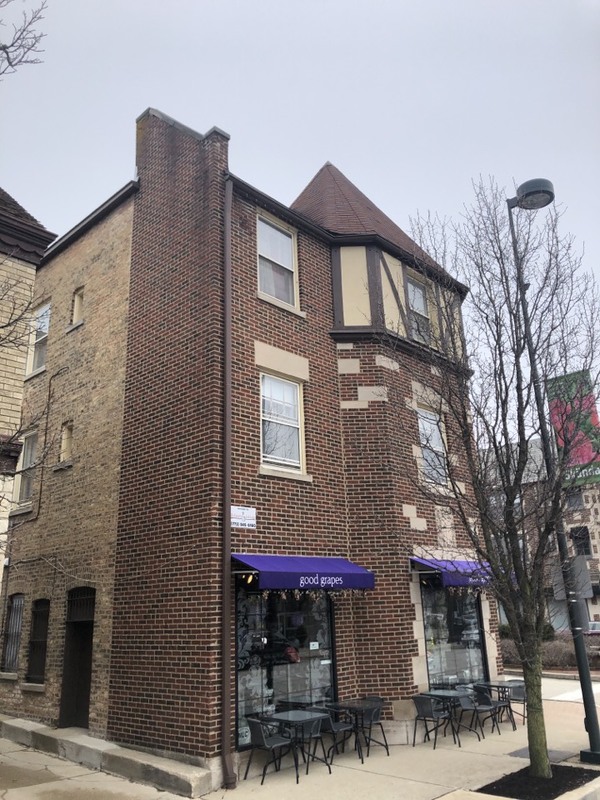 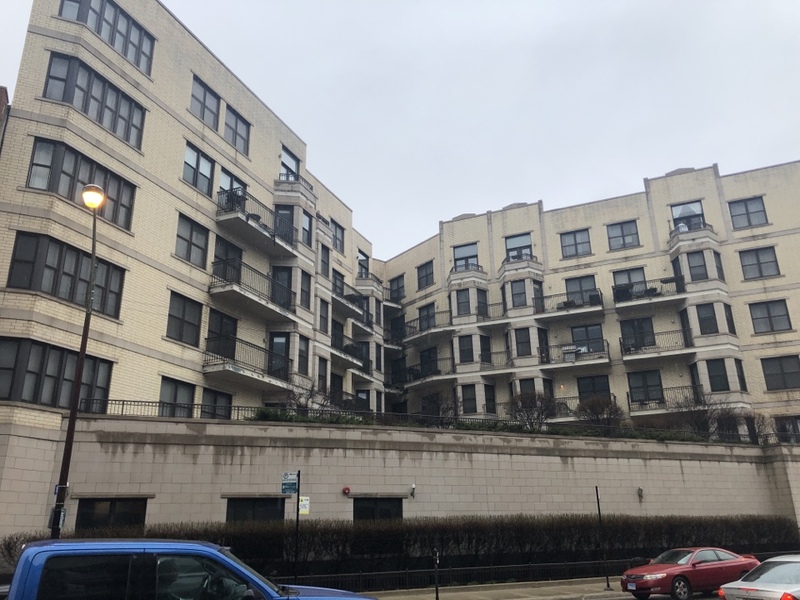 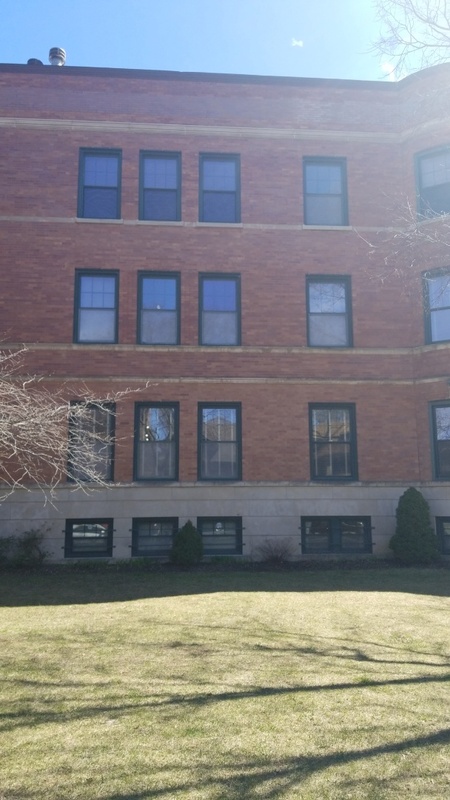 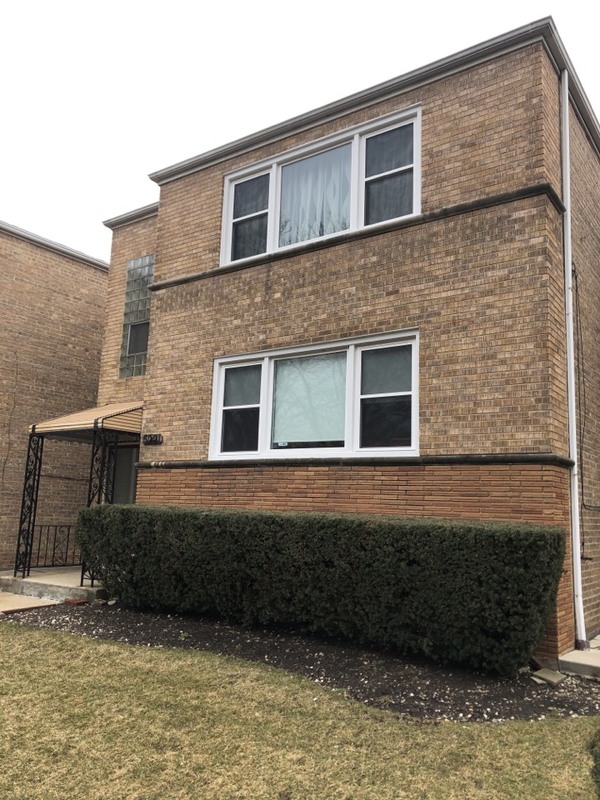 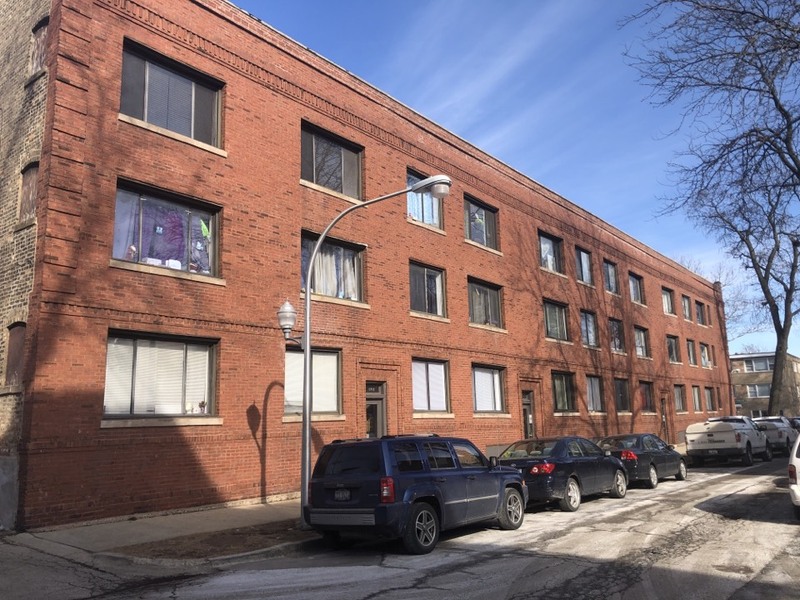 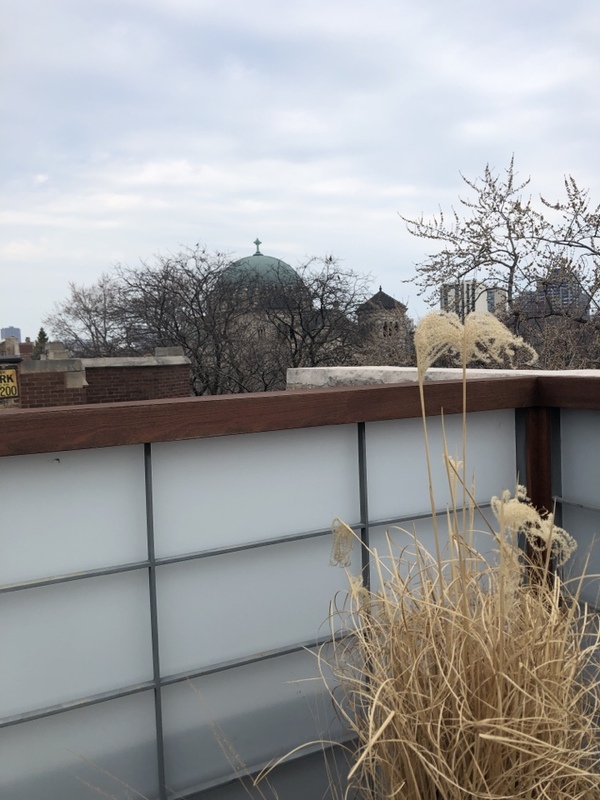 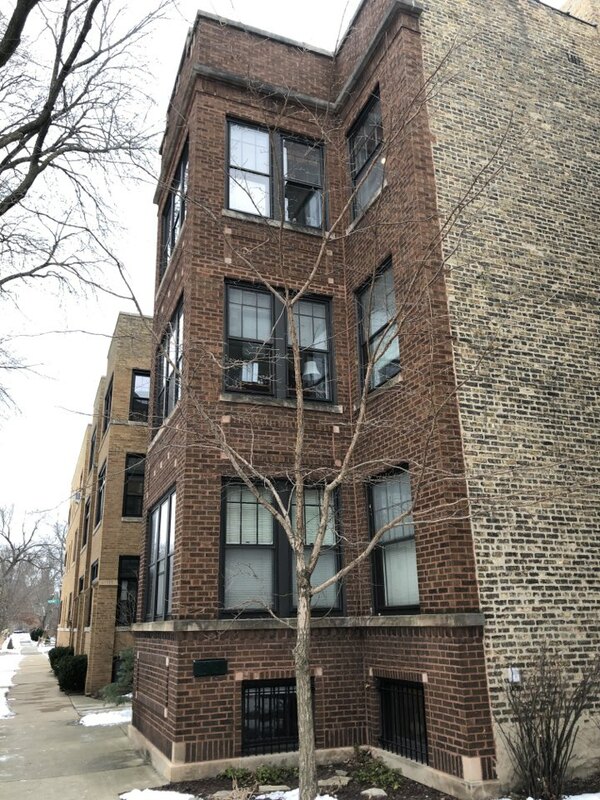 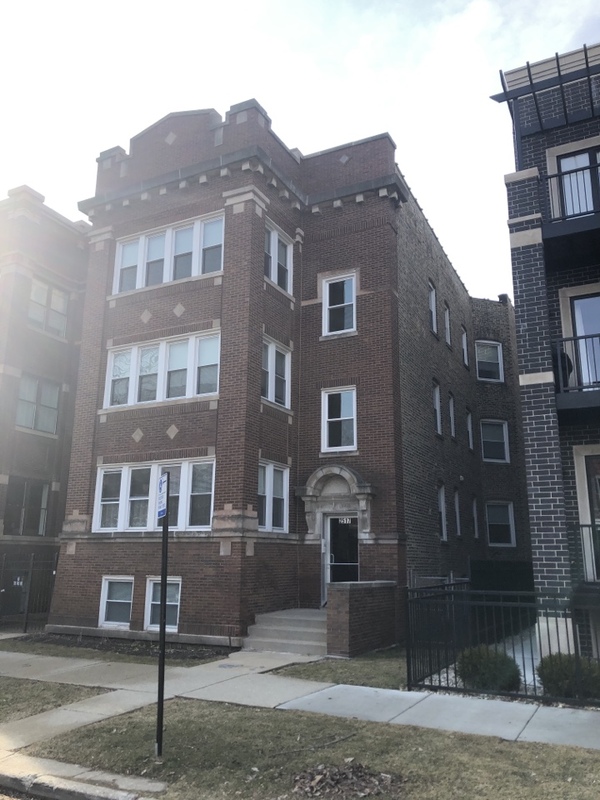 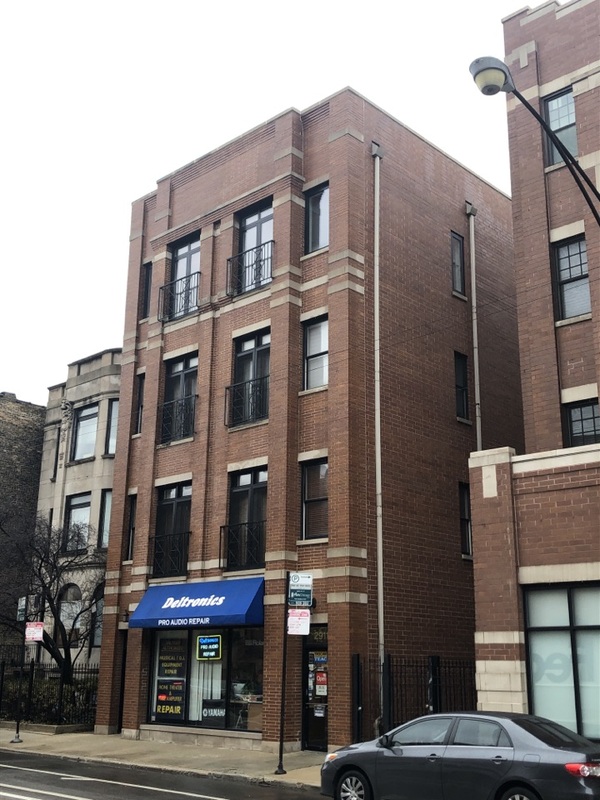 Taking a look for a condo association for spot grinding and tuckpointing and re-caulking all windows on the north elevation of the building in Chicago, IL. 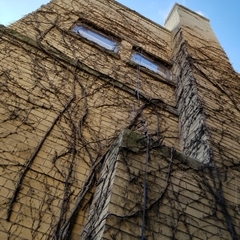 Checking out perspective customers' home in Chicago, IL to spot grind and tuckpoint building and remove all vines. 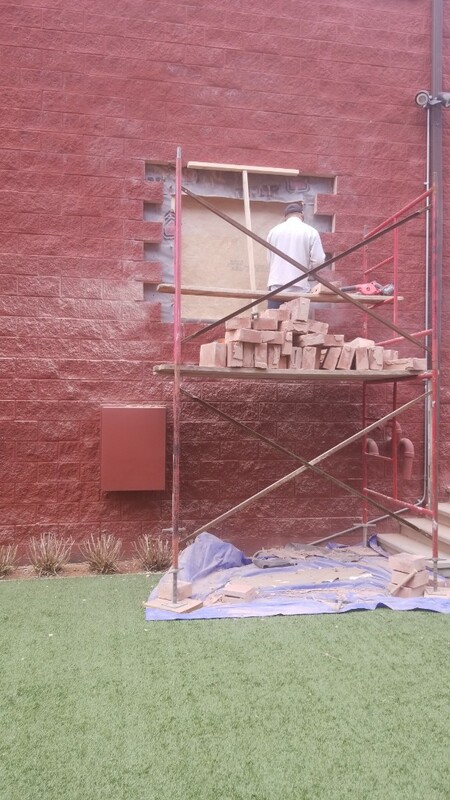 Lots of work! 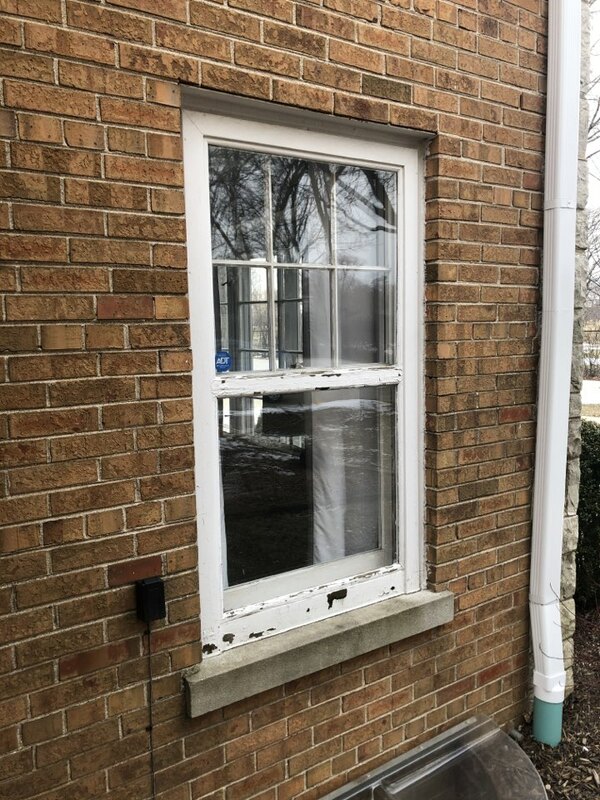 Estimating for removal of caulking and re-caulking all windows on 9 buildings in Downers Grove, IL for a property management company. 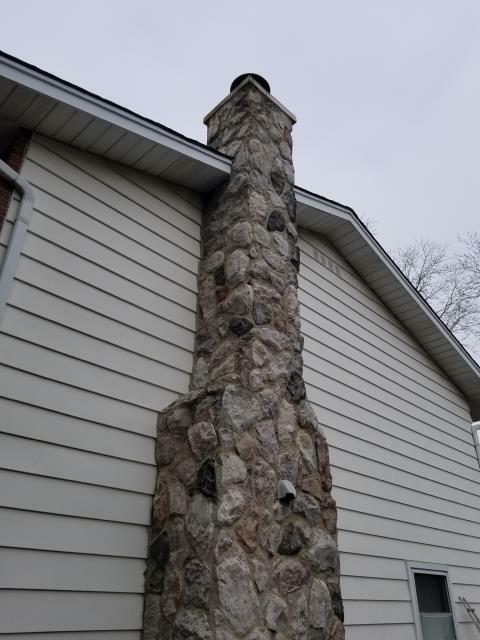 Evaluating a stone chimney in Woodridge, IL for a homeowner. 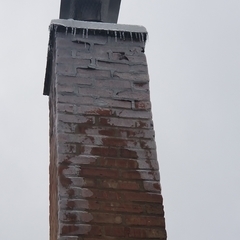 The chimney needs to be rebuilt with new stone. 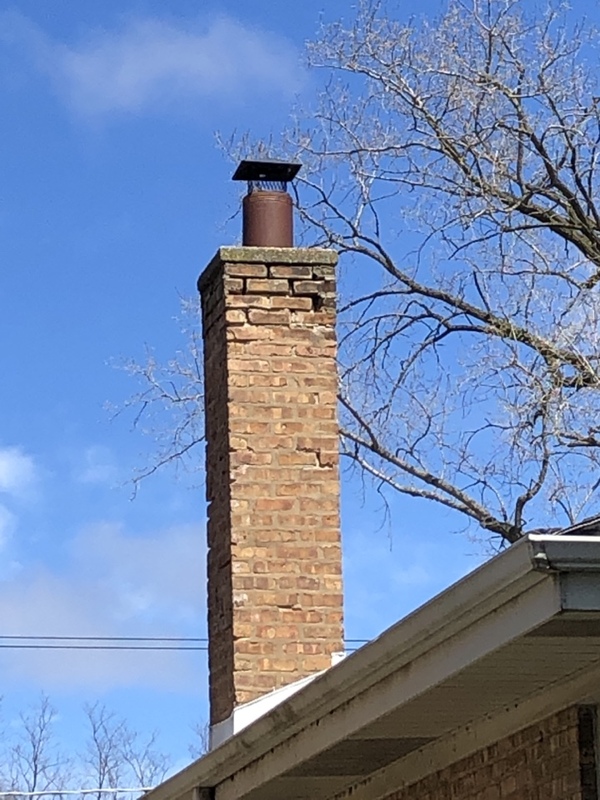 Estimating to rebuild upper portion of chimney for a homeowner in Itasca, IL. 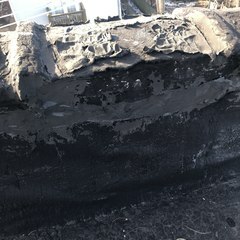 We will also form and pour a new concrete cap and spot tuckpoint the lower part of chimney to the ground. 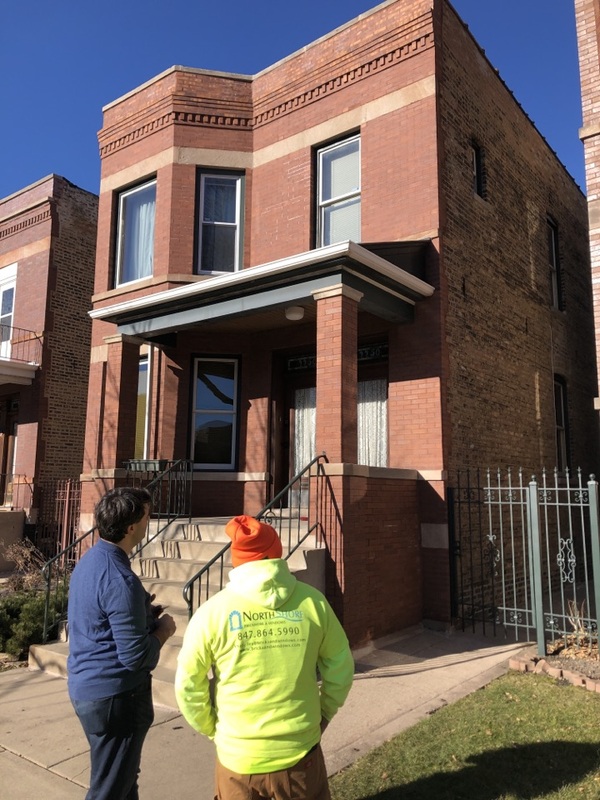 Preparing an estimate for one of our property management companies in Chicago. 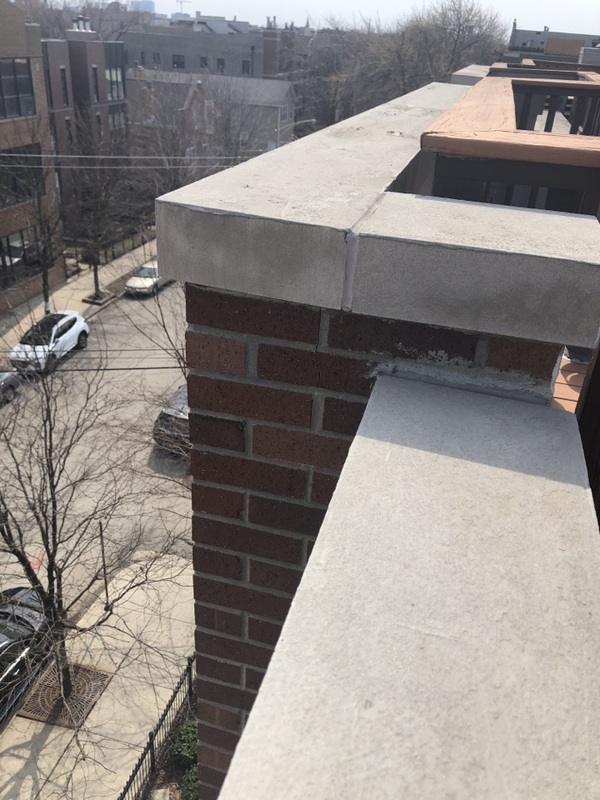 The work entails tuckpointing the northeast elevation, patching the limestone header and applying clear water sealant to the masonry. 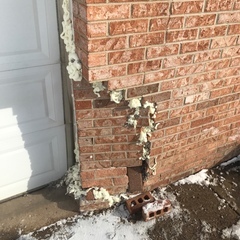 We are here in Huntley, IL to estimate the vehicle damaged cinder block wall repair needed for one of our regular property management company customers. 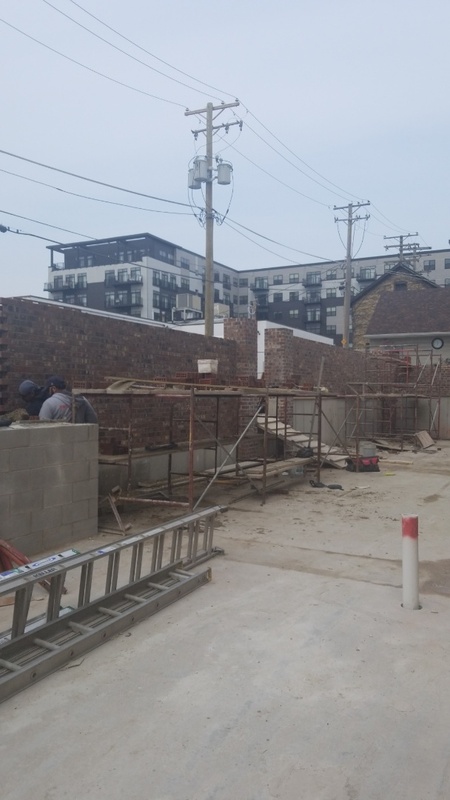 Job in progress that we are working on for a large property management company on Lincoln Avenue. 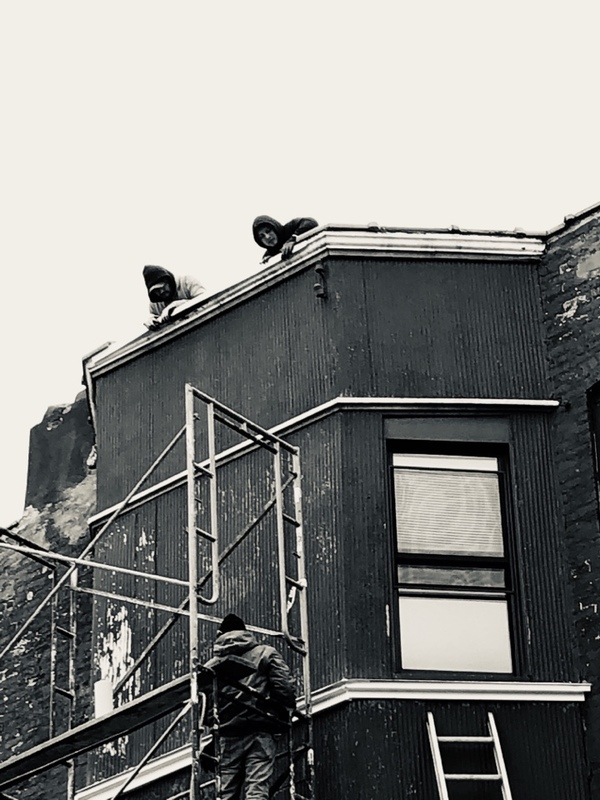 We are completing metal trim work, spot tuckpointing and replacing coping tiles. 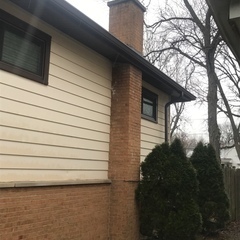 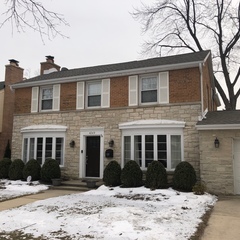 Evaluating a chimney in need of grinding and tuckpointing in Niles, IL. 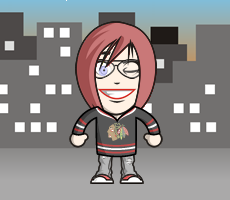 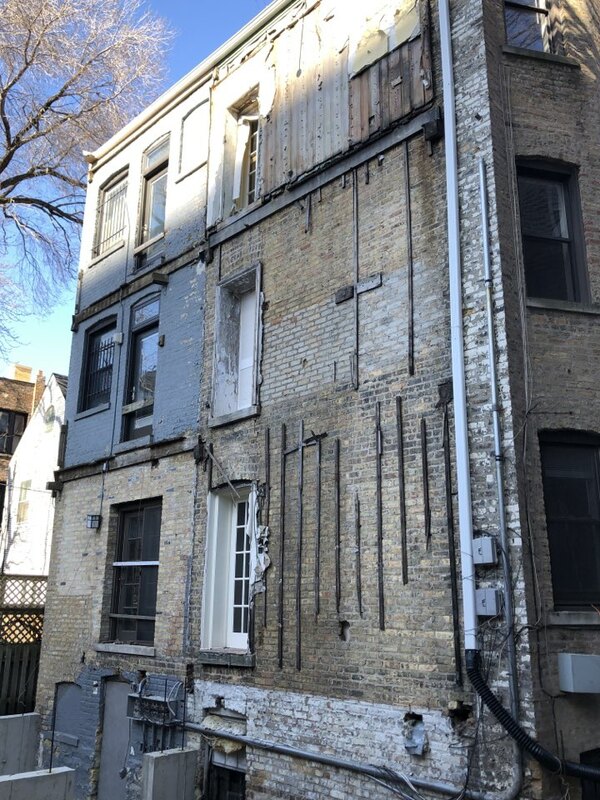 Also, needs window caulked. 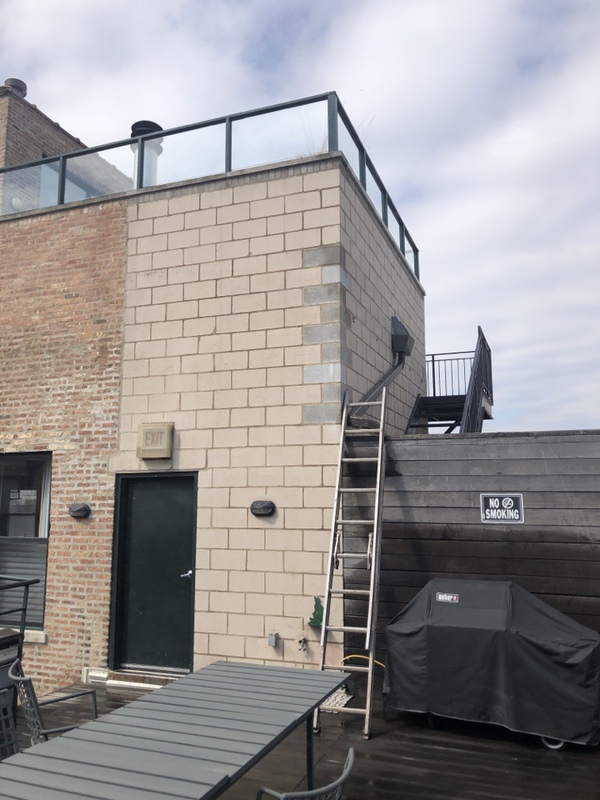 Roof parapet rebuild and a ton of masonry work needed. 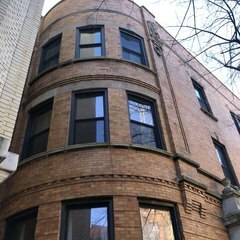 Estimating Brickwork and tuckpointing for a beautiful condo in Lincoln Park. 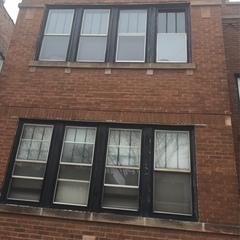 Estimate needed for window lintel replacement in Chicago. 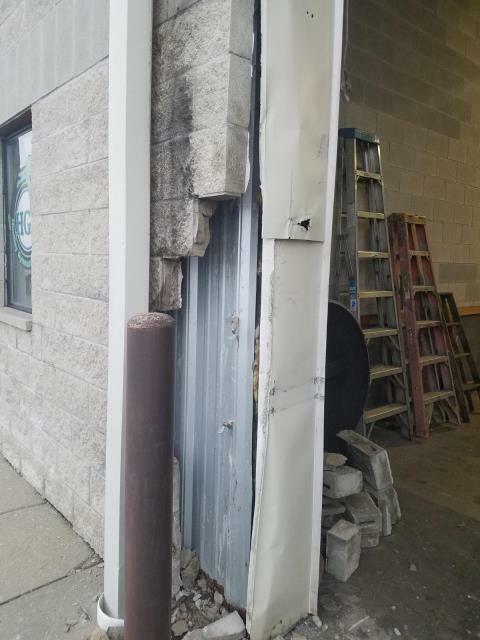 Masonry repairs to dock door in Melrose Park that was damaged by vehicle. 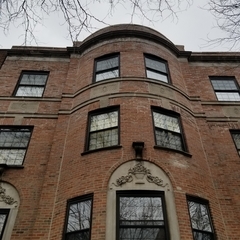 Coping, caulking, and cornice repair in Lincoln Park. 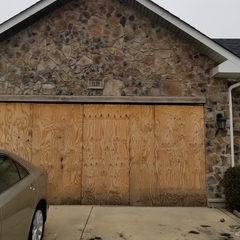 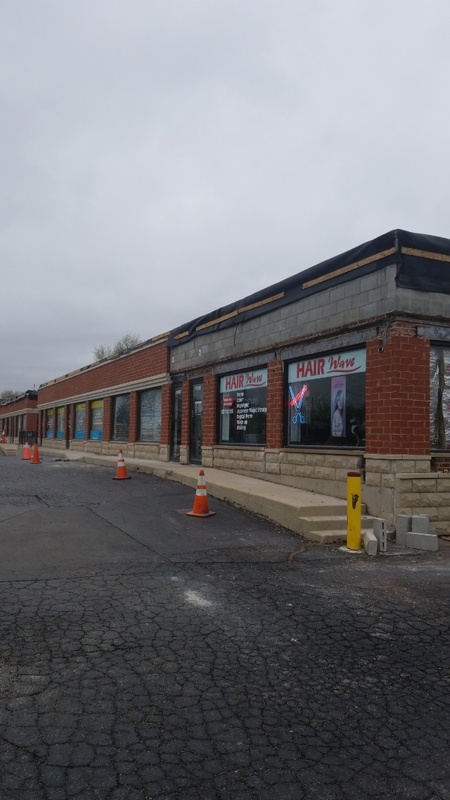 Estimate needed for a company in Elk Grove Village, IL for masonry and stucco work due to vehicle damage to the building. 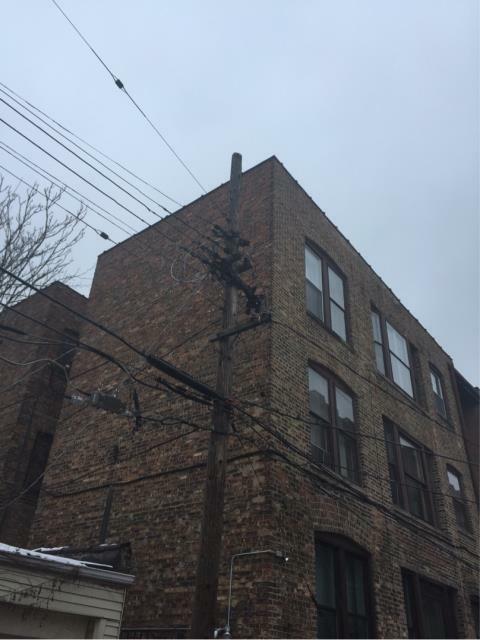 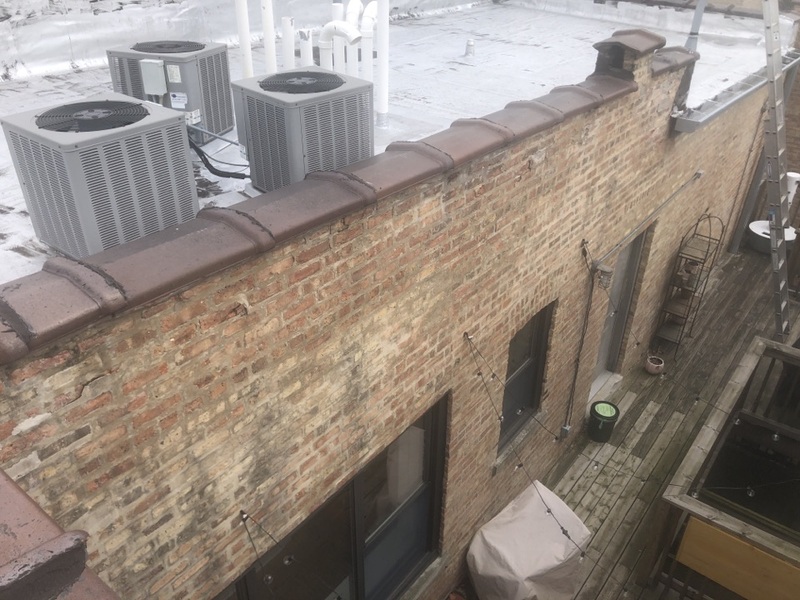 Estimate inspection for a 4 unit building in Chicago for masonry repairs needed on a painted brick wall. 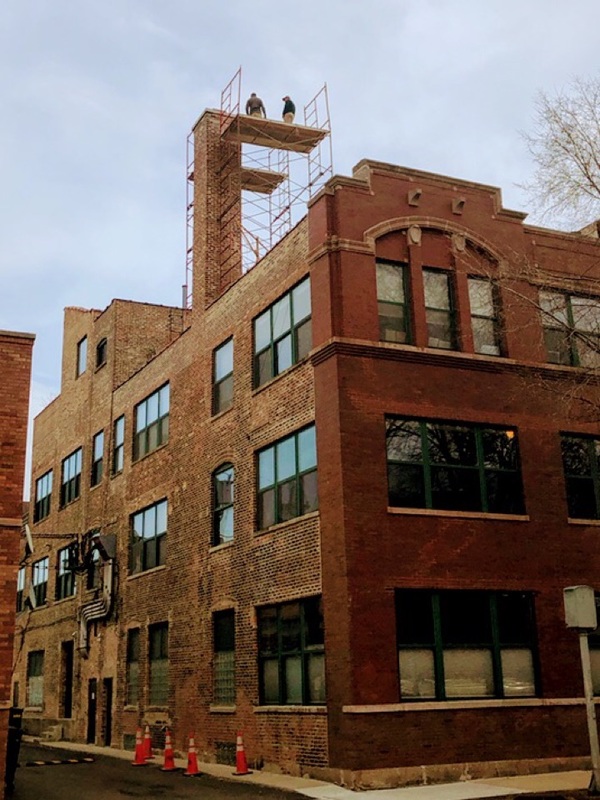 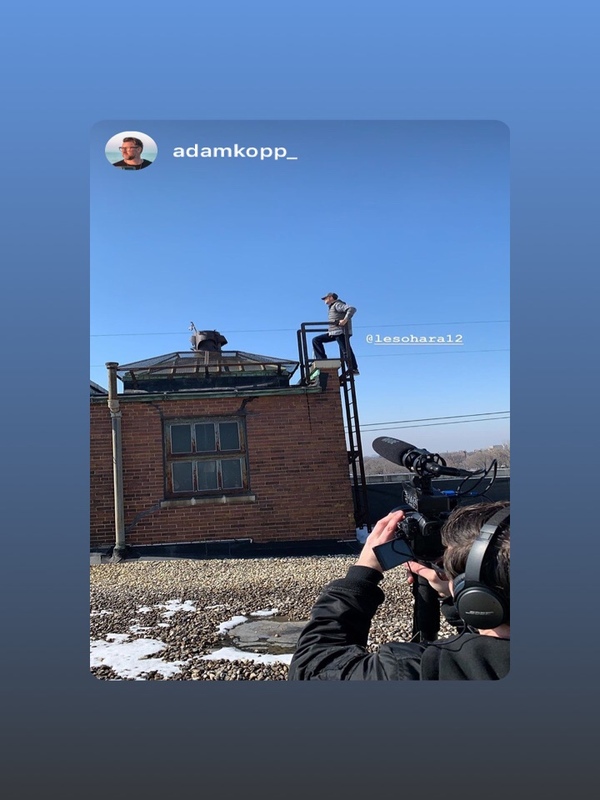 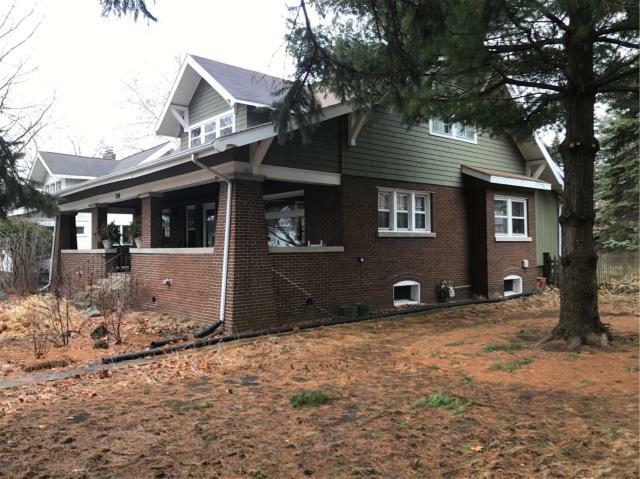 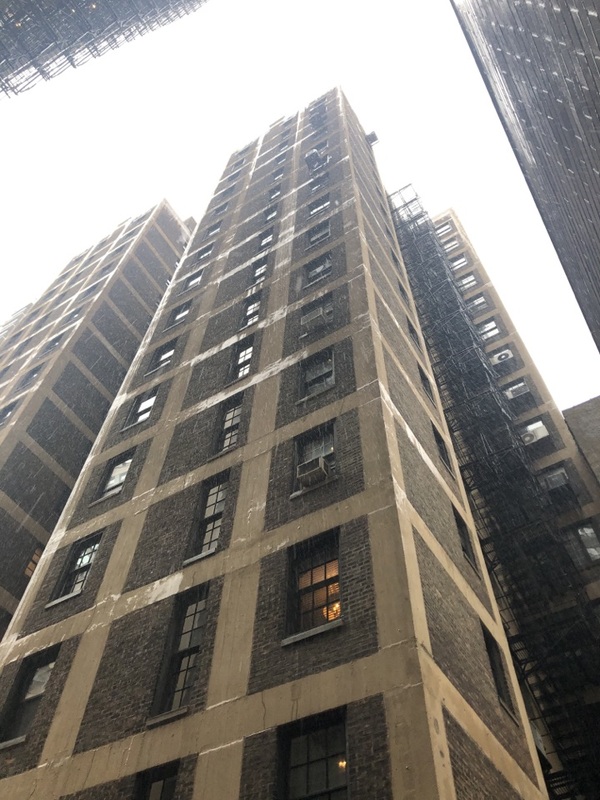 This project would entail setting up scaffolding, repair coping tile joints, replace deteriorated bricks, repair defective masonry and repaint brick wall. 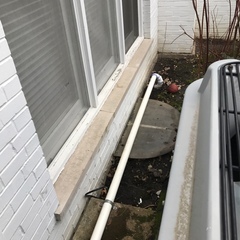 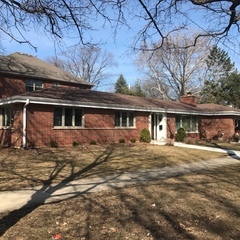 Completed estimate for a homeowner in Chicago to replace deteriorated limestone. 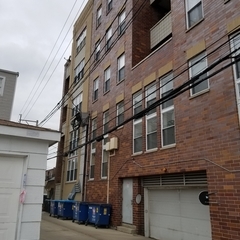 Inspected this Hyde Park building for one of the largest Property Management companies in greater Chicagoland area. 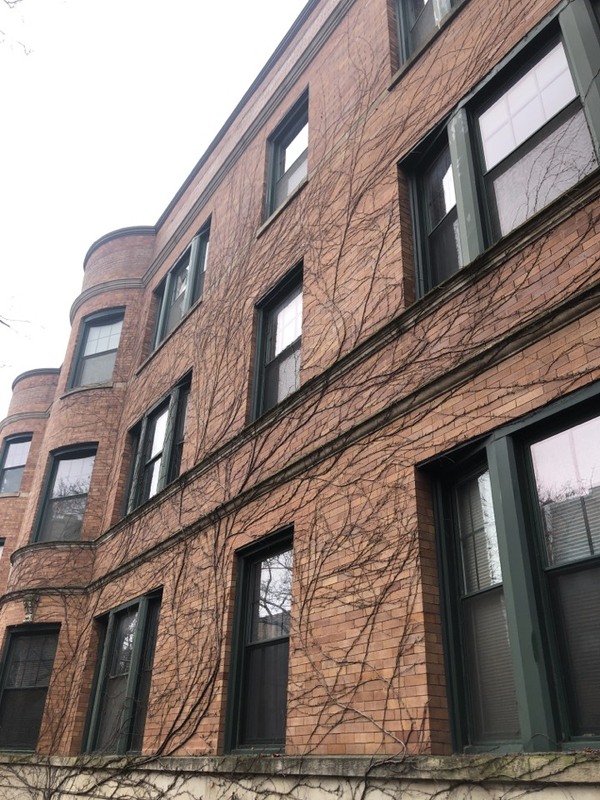 This project will include tuckpointing around the entire building to repair masonry defects. 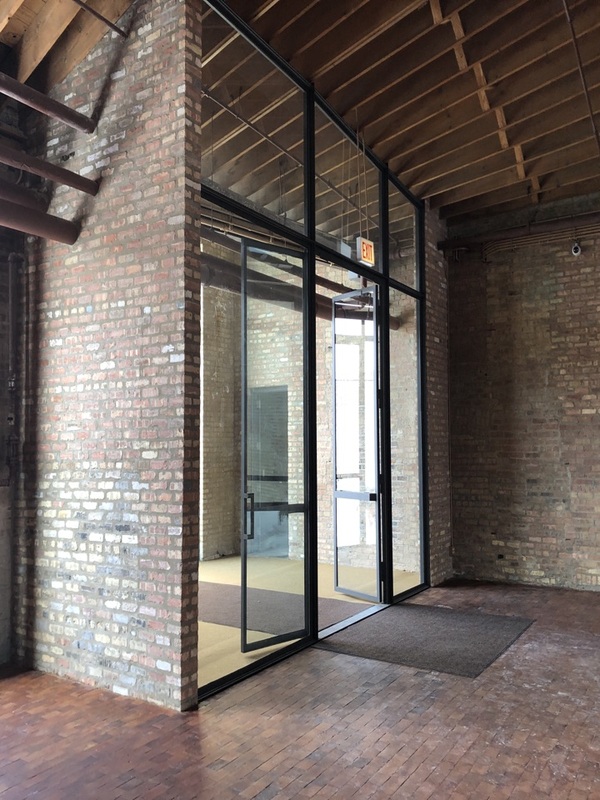 Some of our beautiful masonry reconstruction on display at this event space on the river in Chicago. 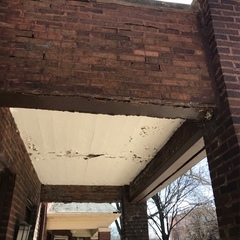 Tuckpointing and glass block replacement. 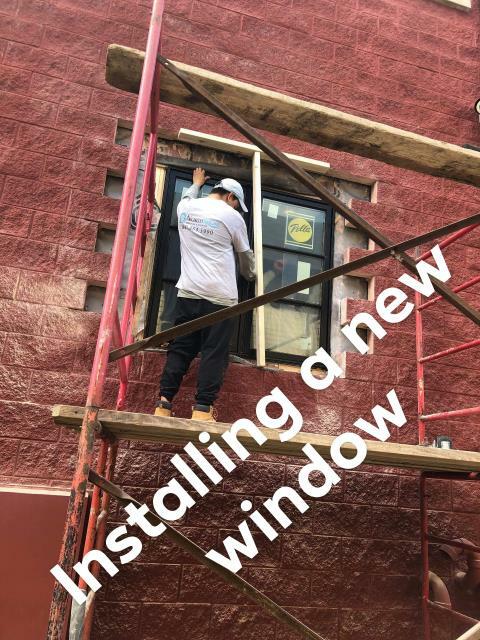 A few vinyl window too. 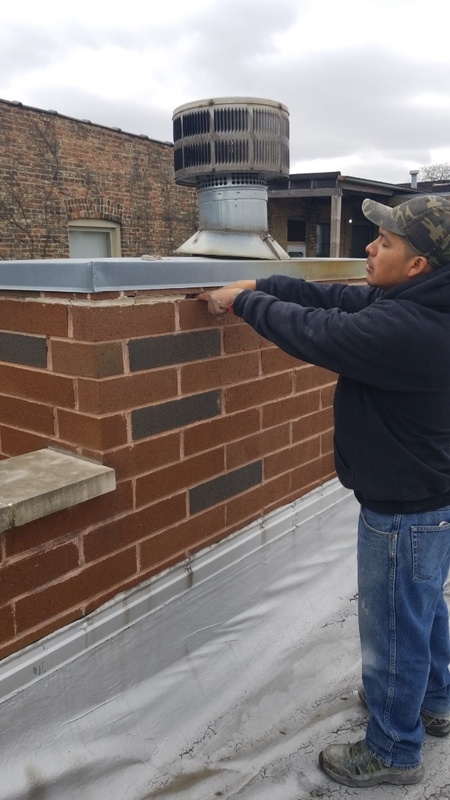 Brick and block masonry needs new caulking of control joint and spot tuckpoint with water sealer application. 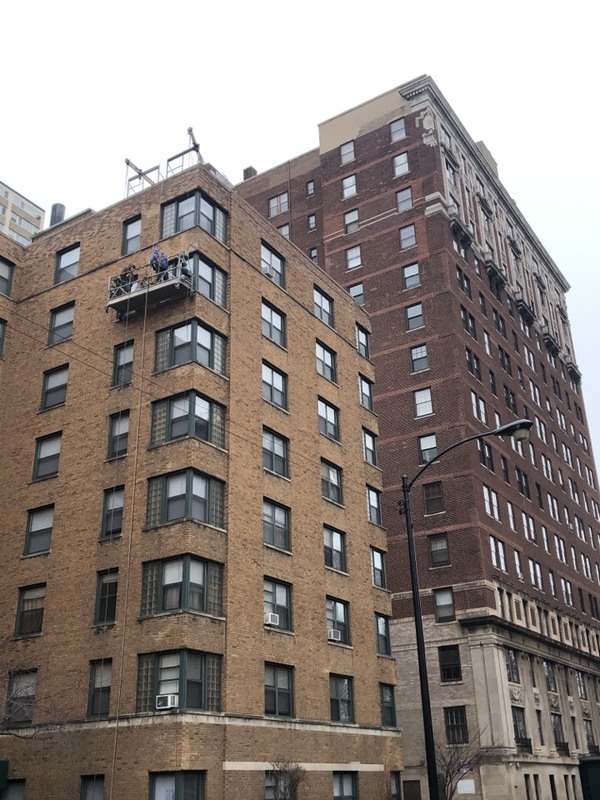 Andersonville solving window and masonry related leaks in a masonry job we worked on over the summer.